On a recent business trip to Scotland, we decided to take in the sights and sounds of the Edinburgh Festival Fringe in the evening. This has long been an ambition of mine and although this was a fleeting visit, we took the opportunity to take in some interesting food along the way. On the recommendation of Mr Manwich, our resident sandwich guru, we booked in at a pop up restaurant in the backstreet cool bar, Cabaret Voltaire. Now I’m old enough to remember the new wave electronic band of the same name – so it was a good start to proceedings. The bar was an underground vault and struck the right hipster note in terms of vibe and setting. 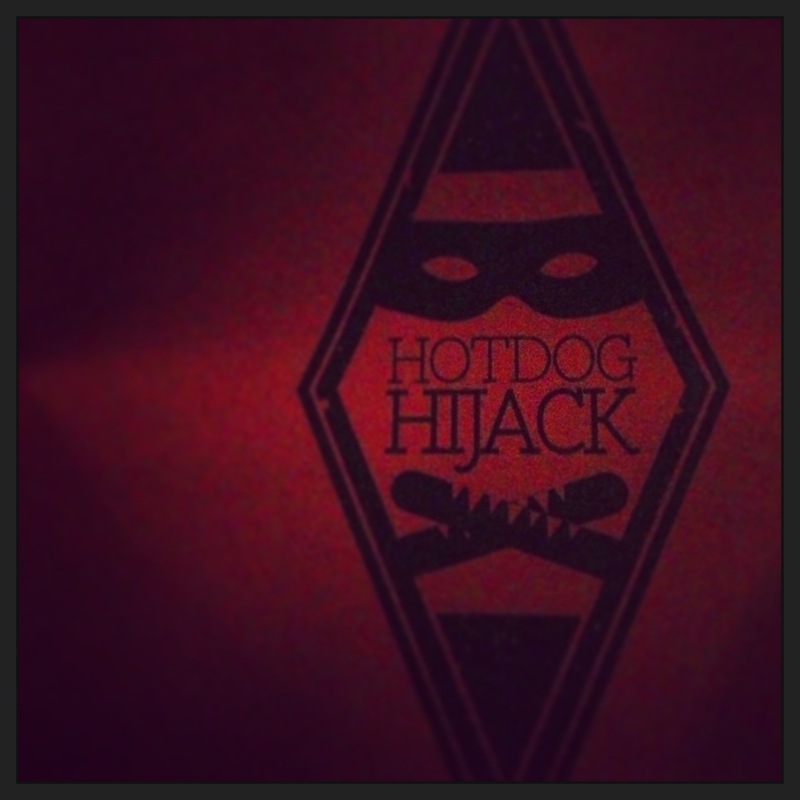 The pop up was called the Hotdog Hijack and very interesting it was too. Fast, dirty food washed down with decent vino accompanied by some quite serviceable pizzas. Service was a bit slow but they’d run out of buns as the waitress informed us breathlessly as she dashed off to the shop to buy some more. 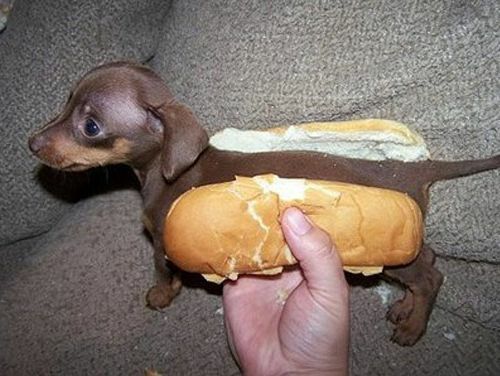 My chilli dog ‘El Dog Bandito’ was on time and on the money, but some of our party weren’t so lucky. It wasn’t high brow but it fitted in well with the random, fun nature of the Fringe though, and as we wandered off to see our first comedian of the night we felt pretty happy with our choice. 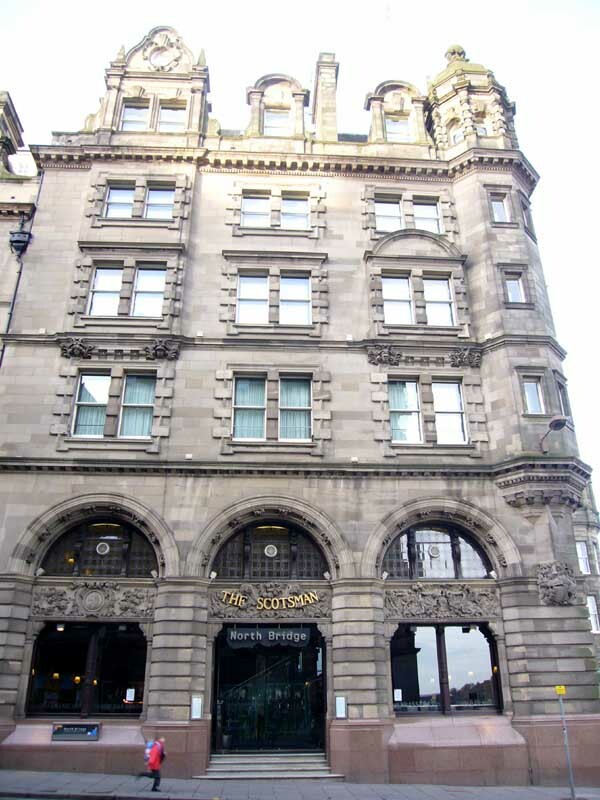 Last Friday 30th May I had dinner with some business associates at The Vermillion in Edinburgh. As a print person this was an interesting choice as it is situated in the basement of the Scotsman Hotel which irself was formerly the original headquarters of The Scotsman Newspaper. The building is magnicicent and characterful from an age when HQ’s were meant to say something of the business and people within it. The restaurant is like a Gentlemens Club. Food was exceptional and dishes included scallops with back pudding, sea bass and steak. The wine list was extensive and we shared prosseco, Reisling and Malbec. Value was pretty good as 3 courses, pre-dinner drinks, wine plus liqueurs meant a £90 per head bill. A recommend.